I am shocked and appalled! There is an epidemic sweeping across our nation affecting our children and adult population and the government is not regulating or restricting it at all. Indeed, children, teens, and adults are all being blitzed with targeted advertising daily. These ads feature cartoons, clowns, celebrities, and colorful graphics. The items being advertised are designed to hook you and leave you wanting more using intense flavors and easy access. For the average consumer, the onslaught is unavoidable. And the toll it's taking on the United States of America is incredible. It is estimated that as of 2013, more than 111,000,000 (that's 111 million) - roughly 35% of the population - are afflicted with the results of these products and practices. And, yet, the products and practices go unregulated and unchallenged. Worse, in many cases they are encouraged through subsidies. The cost of dealing with this epidemic in 2008 adjusted dollars is thought to be around $147 billion. BILLION! Staggering. Even more staggering is the cost in human lives. One death in every five is related to this growing problem. I am, of course, talking about obesity. 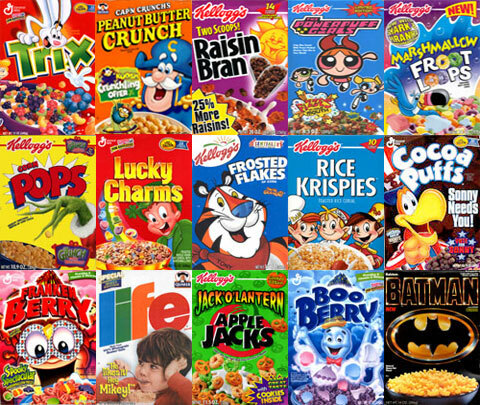 Sugared, sweetened, chemical loaded cereals are shelved in grocery stores so that the cartoon characters are on an eye-to-eye level with children. Happy, smiling kings and clowns hawk fat-loaded fast food on nearly every street corner. On the other hand, vaping, which could save billions of dollars and millions of lives (http://www.statebudgetsolutions.org/publications/detail/e-cigarettes-poised-to-save-medicaid-billions#ixzz3W1JxiUUP), is being attacked daily and threatened with increased regulations and increased taxes instead of being bolstered by subsidies. It is estimated that 480,000 citizens of the U.S. die every year from smoking related causes. By comparison, obesity will claim around 520,000. More die from obesity than from smoking. The people and agencies pushing for these taxes and regulations are citing "children" as the motivation. Yet, while perusing Vape magazine I found no more than four advertisements (in a 100 page magazine that is sold primarily at vape shops where no one under the age of 18 is admitted) that might have been targeted at an individual under the age of 18 (scantily clad women notwithstanding as I fear those will impact most males and some females past puberty). If you're not already involved as a member of CASAA, The Vaping Militia, or as an individual writing and calling on your government to stop this insanity, now is the time to start. Tomorrow, it might be too late.